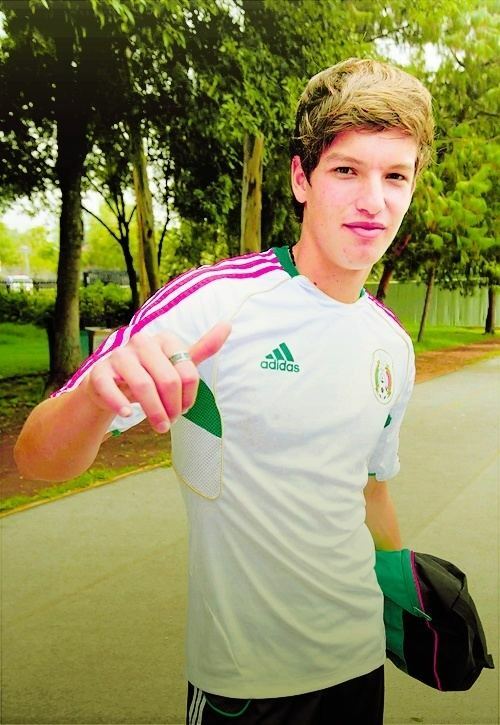 Carlos Eduardo Fierro Guerrero (born July 24, 1994 in Ahome, Sinaloa) is a Mexican footballer, who plays as a winger for C.D. Guadalajara in the Liga MX. He was part of the Mexico U-17 FIFA World Cup champions in 2011, becoming the first national team to achieve it while hosting, defeating Uruguay 2–0 and managing their second title. With 4 goals, his performance in the tournament was recognized by being awarded the Adidas Bronze Ball. 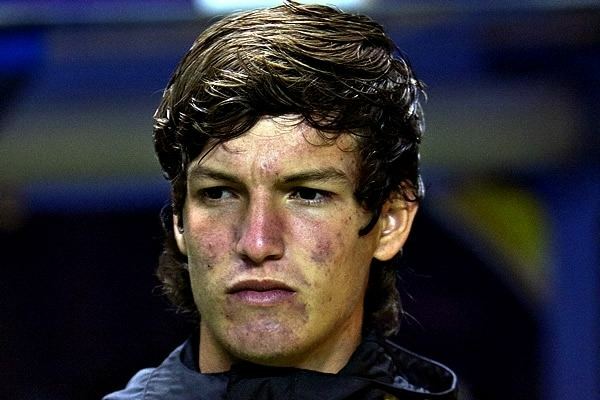 Fierro was born on 24 July 1994 in Ahome, Sinaloa. His mother Irma Guerrero, has always been very involved with her son's career, little is known about Fierro's father. He had one older brother, Gustavo Iván Fierro Guerrero who died in 2011 due to cancer. At the age of four, Fierro started playing football for a club subsidiary of Guadalajara in Sinaloa, coached by Bernardo Chico Vonn. 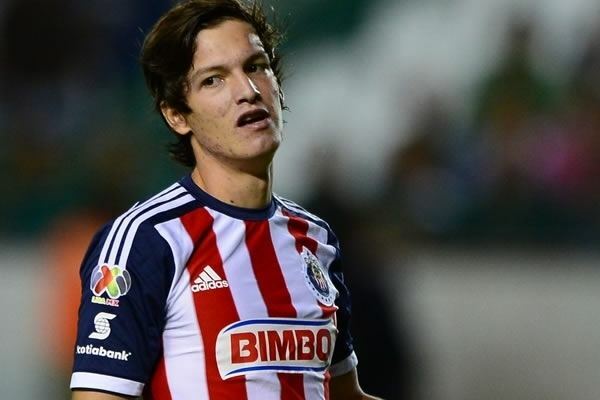 Fierro's brother Gustavo had left to Jalisco in 2007 to try his luck with C.D. Guadalajara, so in 2008, Fierro followed his footsteps to try to make it in Mexico's most beloved club. Fierro and his brother seemed to have reached their goal, Carlos playing for the youth squads of Guadalajara and Gustavo for its second division team. Gustavo was diagnosed with cancer and returned to Sinaloa leaving Carlos by himself in the capital of the state of Jalisco, all seemed as if Fierro would have to return to Sinaloa as well, but the family of Giovani Casillas, who also played for the youth teams of Guadalajara practically, adopted Carlos in order to support his dreams of being a football player. He made his senior team debut as a substitute on August 20, 2011 in a match against Monterrey coming in for Omar Arellano at the 76th minute. He was the most used substitute in the Apertura 2011 coming in as a sub in 8 occasions. He was named to be in the initial line-up in the Copa Libertadores 2011 as a starter against Deportivo Quito, thus scoring his first official goal with the senior team in all competitions. The first time he completed an entire game was in week 6 of the Clausura 2012 when they were defeated by Monterrey. The tournament in which he managed to accumulate the most minutes was in the Clausura 2014, totaling 1,286 minutes with 16 caps. He suffered from an injury in the start of the Clausura 2014 and on another in mid-season, this affected Guadalajara as they had 9 players injured midway through the Clausura 2014. 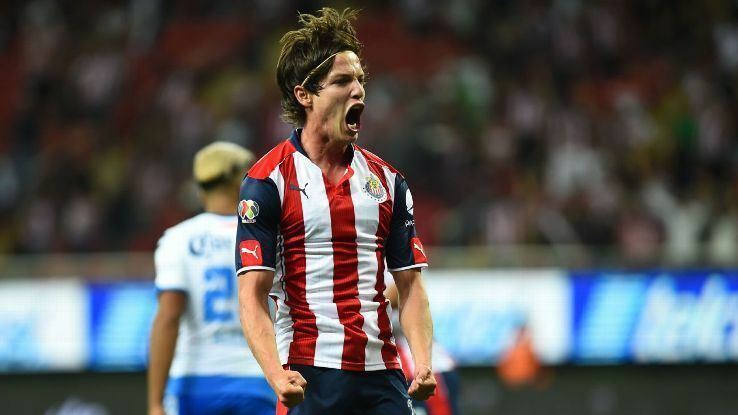 From the beginning of Liga MX and Copa MX Apertura 2014, Fierro has been capped 12 times and scored 3 goals, the same amount of goals he scored in the 2013-14 season. As Guadalajara has never been in the second tier of Mexican football is struggling to avoid relegation, but still in hopes of fighting for the first positions, Fierro has stated his intent of consolidating himself as a starter for the club and taking that next step. Fierro has stated the support and guidance club legendary player Omar Bravo and Aldo de Nigris have shown him since his return to Guadalajara, even if it requires yelling and scolding. On 7 September, Fierro scored a duet of goals against U de G in an 3-0 home win at Estadio Omnilife, scoring his first two goals of the season. On 2 December 2015, Querétaro F.C. 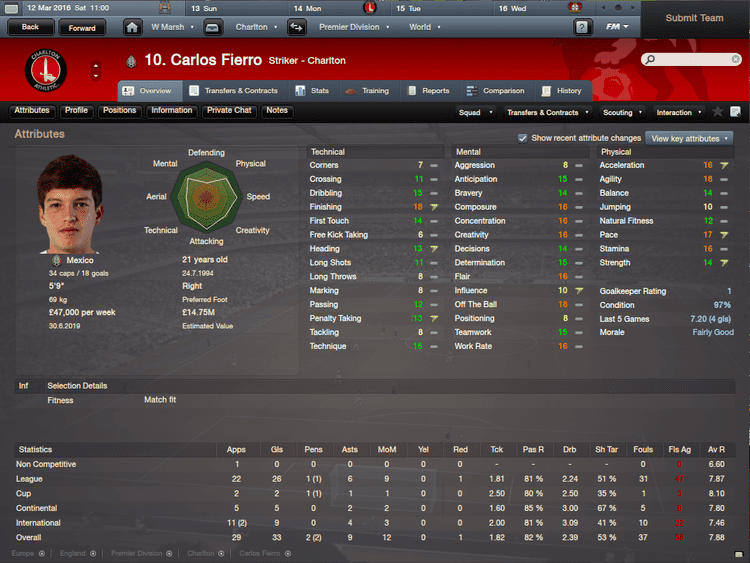 announced they had signed Fierro on a loan deal with the option of purchase. He made his official debut as a starter on 8 January 2016 at home against Club Atlas. He scored his first goal on 22 January 2016 in a home match against Sinaloa. Fierro returned to the club for the 2017 season. After a year long loan to Querétaro he made his return on January 7, 2017 as a sub against Pumas UNAM in a 2-1 victory. Fierro's older brother Gustavo Iván Fierro Guerrero was diagnosed with cancer in late 2008, Gustavo fought the war against cancer for nearly 4 years. Exactly 2 months after Carlos and Mexico conquered the U-17 World Cup, Gustavo died in the Hospital Country 2000 of Guadalajara, Jalisco at the age of 22. 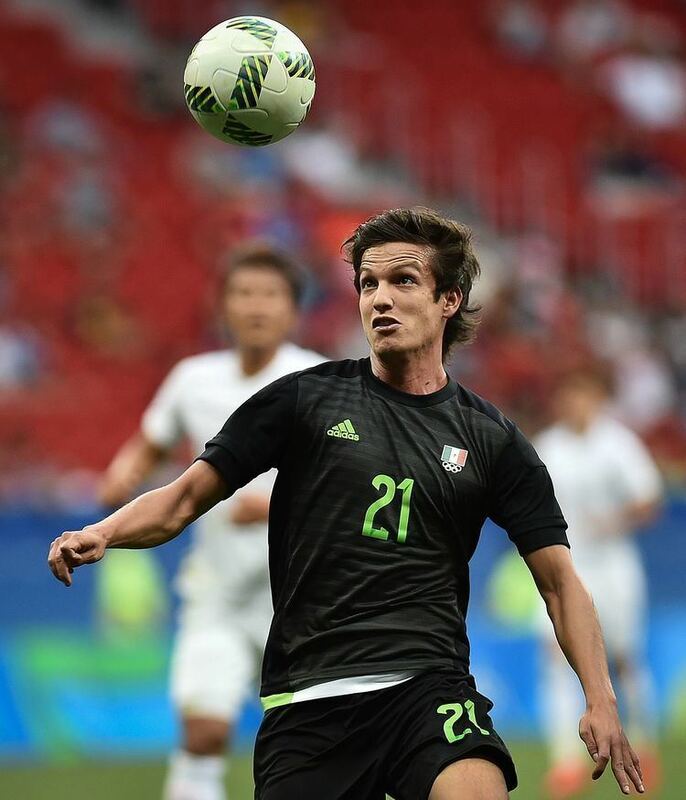 Carlos Fierro was a major key to the national team that won the U-17 World Cup in 2011. He scored his team's first goal in the tournament against North Korea. Fierro was one of the most important players for his team, scoring in the round of 16 and quarterfinals of the tournament. He was awarded the Adidas Bronze Ball for his exceptional performance at the end of the tournament. He dedicated every goal to his brother Gustavo who was diagnosed with cancer in late 2008. As of 25 January 2016.